Enhance your corporate image with exquisite floral arrangements from Douglas Koch. Custom arrangements utilizing the seasons’s blooms are designed, delivered and installed on a weekly basis. All fresh floral arrangements are meticulously refreshed throughout the week. Manhattan can be a tough place to stand out from the crowd. Floral arrangements by Douglas Koch are larger than life and leave lasting impressions. 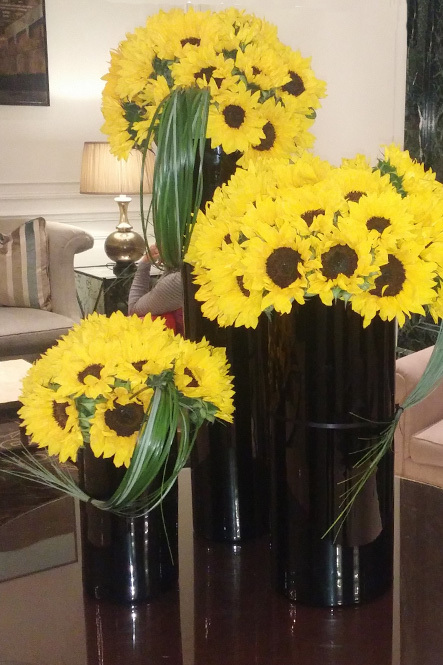 From hotel lobby flowers to office reception arrangements, Douglas Koch will create the design that fits your needs. Douglas Koch floral designs are striking works of live art that will impress all. Contact us today to learn more about how Douglas Koch can create stunning exotic plants and floral designs for you.